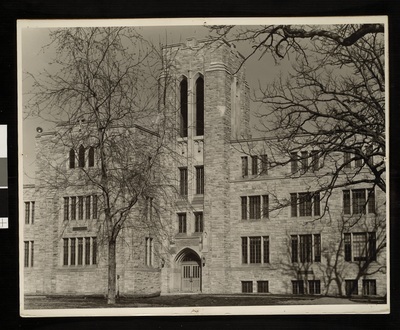 "Gullixson Hall, Luther Theological Seminary, St. Paul, Minnesota"
In the late 1940s, this second major building was constructed on the Luther Theological Seminary campus to house a library and provide additional classroom and office space. It was later named Gullixson Hall in honor of T.F. (Thaddaeus Franke) Gullixson, president of Luther Theological Seminary, 1930-1954. Back of photograph reads: LTS, Gullixson Hall.